The sensational football player, David Beckham, was recently spotted with his Gray Camaro. 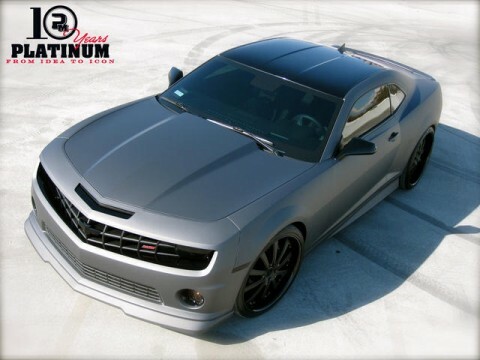 The flat one was a customization work delivered to David by Platinum Motorsports in Los Angeles. Reports says that the super star Beckham is trying to go by the look of his gray flat Camaro to all the new American muscle car way. However the news did not confirm on the finish the car received. People predicting on the look are trying to pick from two choices of finish and that are matte gray finish or just the wrap. Yes, vinyl wraps! That’s not insane, is it? The car runs on dual fuel and has all black wheels. This news story also reports that David needs his Camaro to give it further thunderstorm conversion. It means the car was not impressive enough to be owned by him.